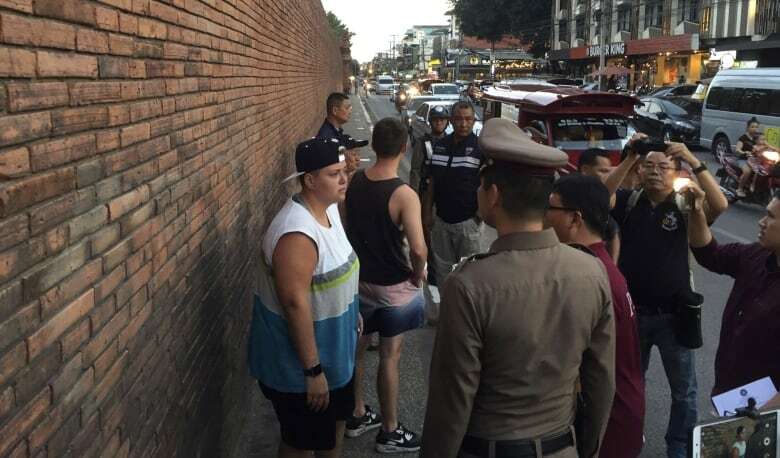 One of two tourists charged with vandalism for spray painting graffiti on an ancient red-brick wall in northern Thailand is from Grande Prairie, Alta. Thai police said early Friday they had arrested a Canadian and Briton — Brittney Schneider and Furlong Lee, respectively, both 23 — at a guest house in Chiang Mai. They are being held at the provincial court and face up to 10 years in prison if found guilty. 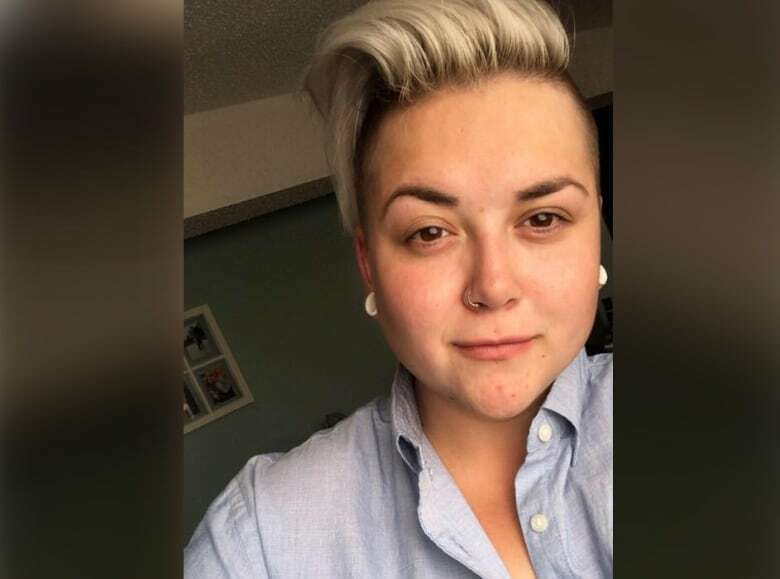 Schneider's mother, Tara, told CBC News she'd received a frantic phone call from her daughter. "Mom, I'm in trouble," she said her daughter told her. "I spray painted an ancient wall and I'm going to prison. And I'm scared." Closed-circuit TV footage allegedly shows the pair spray-painting a wall near the Tha Phae Gate, the main entrance to the city's old town. Tara said her daughter "made a mistake. This is out of character for her." "I just told her, 'What's done is done,'" she said. Bail money has been sent to Thailand so Brittney can be released on Monday, she said. After that, her daughter will have to remain in Thailand until her trial, which could be in two months, she said. "She has to face it. She's sorry for what she done. But I said stay strong and breathe and go through it." "She said she's ashamed of herself," Schneider said. "It was an act of being intoxicated." She said she plans to fly to Thailand to support her daughter while she awaits trial. In addition to 10 years in jail, police said, the young tourists could face fines of up to one million baht, or $40,035 Cdn.